Review: Reyes Cárdenas. Chicano Poet 1970-2010. San Antonio TX: Aztlan Libre Press, 2013. I love it when an expectation gets trashed in light of actuality. It’s especially thrilling when it comes in form of a richly diverse collection of poems assembled under the term “Chicano poet” in publisher Aztlán Libre’s 2013 Reyes Cárdenas. Chicano Poet 1970-2010. Among the foundation characteristics readers expect in Chicana Chicano poetry include identity and liberation themes like the urban landscape as lost and ruined homeland; Aztlán as Chicana Chicano Eden and separate genesis; carnalismo, Chicanidad; poetry peopled by Chicana and Chicano icons like pachucos, farmworkers, tireless mothers; the anglo as devil. 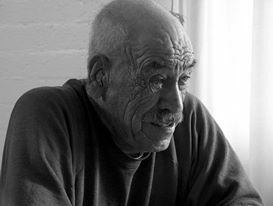 Expressive modes such as code-switching and Spanish language content adding dimensions of potency absent from other United States poetry, marks the literature’s enduring gems. Reyes Cárdenas doesn’t appear in that list, culled from a collection of anthologies published since 1968. But he should. Cárdenas is doing Chicano poetry like you’ve rarely seen in print. With Aztlán Libre’s help, readers everywhere now have access to work Cárdenas has written since 1970. Readers will be encouraged to consume the entire volume in a single sitting, the work is striking and so diverse that each set of readings presents yet another new way to understand “chicano poetry”. Readers coming to the anthology expecting the canon will find it, but much more. Cárdenas likes to perplex readers with language tricks and entire book titles, like “The Collected Poems of Artemio Sanchez.” He writes about a guy named robinson, who’s the poet’s alter ego. The Chicano Poet’s hommage to e.e. cummings, like the Villanueva allusions, makes a masterful presentation of art written by a Chicano but not what you expect, ¿sabes? Cárdenas’ unique approach to movimiento attitudes shines in “Manifesto.” This selection from the 1970 collection, Chicano Territory, mixes conventional images with unconventional technique like calling attention to the poem as a line of words, to have some fun with the politics of identity. Sure, now it doesn’t matter. and then goes into the next line. Her pink buttocks on Padre Island. Stop that punk he’s crazy. The democrats love the Buddha. That’s what I was going to tell you. Here is Cárdenas tribute to Aquellos Vatos, Starting Over. Cárdenas adopts the same reminiscing voice and updates characters with wry “whatever happened to?” allusions. For example, Villanueva’s rata was growing a mustache at ten, El Caballo de Littlefield was one of the guys who was just around. I see he still is. Thirty years after having moved to Minnesota. El Caballo still works at the chicken plant. so many putos had the hots for her back then. only strange Mexicans stare at you from Seguin. It’s no longer nomás Yogi Berra’s déjà vu. in your own land once again! is on the way back. You’ve probably heard those rumors, too. but I’m concerned about you. You’ve been stealing his stuff for years. with Olaf glad and big. from his pretty how town. in your heart, and gave it to your girl. it was your very own. and soon it’s going to be high noon. When I pick up a major opus anthology of a writer’s career, I read the first piece then read the final pages. Then, after this view of the alpha omega of the writer’s art, I thumb through the volume stopping in random spots to peruse a sequence out of the literary life. Now, equipped with this overall impression of the anthologized work, I look at the table of contents, note, but rarely read the prefatory pages, saving these for after I’ve drawn my own response to the work. You can order your copies--one for a friend--of Reyes Cárdenas. 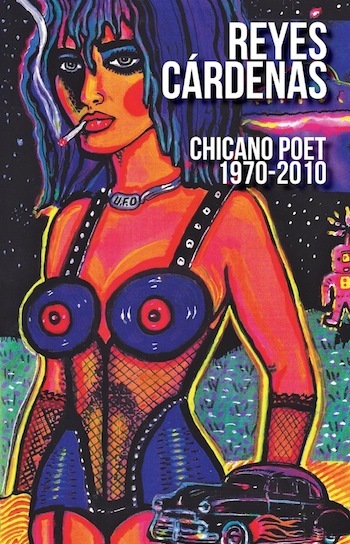 Chicano Poet 1970-2010 through local booksellers and the publisher. Request your local library add the title to the shelves. 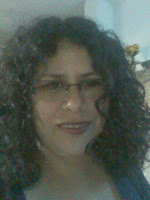 La Bloga friend Jessica Ceballos shares news of the upcoming Poesia Para la Gente event, in Los Angeles, Sunday June 30. Ceballos and colleagues invite all to join la gente riding the rails with poesía, at high noon, on the Red Line platform. Be sure to buy your TAP card. Deputies capriciously check, so a couple bucks saves a hassle and a fine. I remember them saying to me "you are just like your father"
Then one day I tought, if i am like you and they hate you, do they hate me too? and I hated you, a hate that I hated, but it was there. and I hated you for that too. how could you give me something you didn't know how to give? And now when they say, "you are like your father"
I say, "yes, he is my father after all." and hate won't taint my heart again. My name is Gabriela Cortez-Sweningsen. Born in Mexico, I am a mother of five beautiful angels, and the wife of a wonderful man. I am a daughter, a sister, an auntie, a friend, but most of all, I am a woman, who strives everyday to live a happy life, free of hatred and bad feelings towards others, and try my best to cheer others up in the process. As I kiss him goodbye. I am, Daddy, I say. For me, for my health? And of you, I whisper. I dedicate this poem to my father, Valentine S. Herrera, who passed away on December 2nd, 2009. Happy Father’s Day, Daddy! I’m a writer, historian, and artist from Tucson, Arizona. I write about Morenci where I was born. I’m the author of two books, Suffer Smoke and Water from the Moon and co-editor of Sowing the Seeds, una cosecha de recuerdos and Our Spirit, Our Reality; our life experiences in stories and poems, anthologies written by my writers collective Sowing the Seeds. 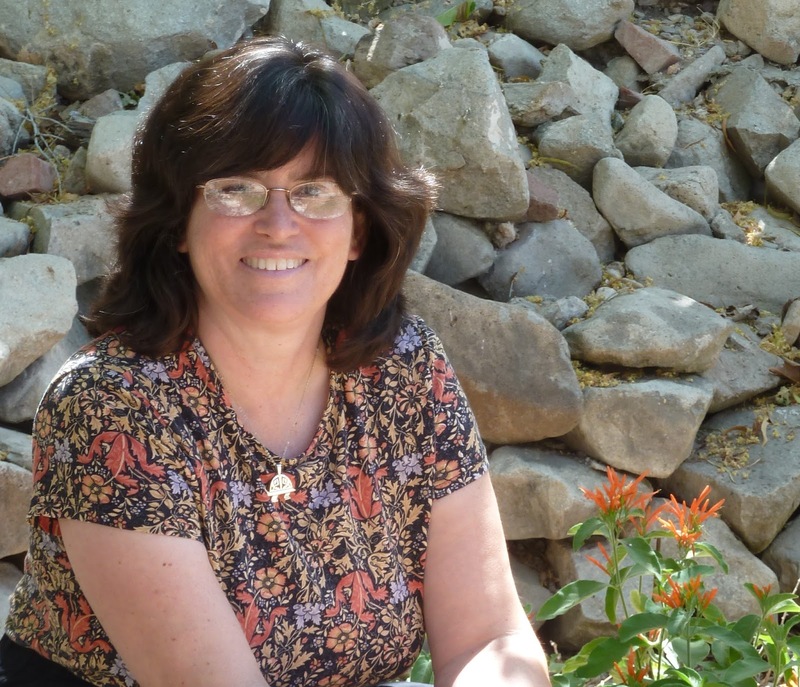 As an Arizona Humanities Council (AHC) Scholar, I’ve performed as Teresa Urrea in a Chautauqua living history presentation and done presentations about Morenci for twelve years. In 2012 I received the Arizona Commission on the Arts Bill Desmond Writing Award for excelling nonfiction writing and the Arizona Humanities Council Dan Schilling Public Humanities Scholar Award in recognition of my work to enhance public awareness and understanding of the role that the humanities play in transforming lives and strengthening communities. I was nominated for Tucson Poet Laureate in 2012 and am one of the moderators of the Facebook page Poets Responding to SB 1070. Andrea Hernandez Holm was born and raised in the desert of Central Arizona, where her families arrived after a journey that began with her ancestors in the highlands of Chihuahua, Mexico. Andrea is a poet, a student, and a teacher. Her writings and research focus on issues of identity, memory, and writing. Her works have appeared in The Journal of MALCS; Our Spirits, Our Realities; Red Ink; Tribal Fires; La Sagrada; the Blue Guitar; and on La Bloga. Andrea is a member of the moderating panel of Poets Responding to SB 1070 and the writing collective, Sowing the Seeds of Tucson. Jenny Fiero is a poet and watercolor artist. She works in the schools as an Occupational Therapist using expressive art therapy with children. She also teaches Tai Chi. Jenny has been married to her friend Brad for 26 years. She has two grown children who are in college. 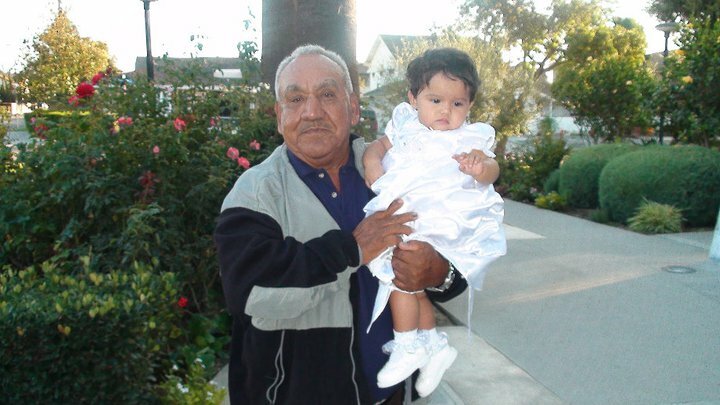 Jenny’s grandfather immigrated from Austria with his family in 1902 when he was two years old. Before I could be like him. And then have his power. I might see what he sees. And honor him, as this is his right. Great men love and so they are loved. All of this was worth it. Michael, thank you for this review of Reyes Cárdenas book! Much appreciated, and so glad you enjoyed it.